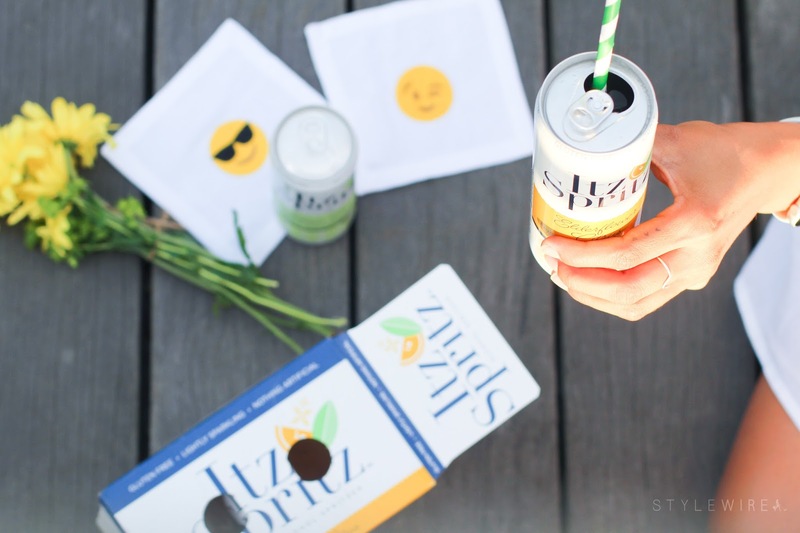 Celebrating Summer with Itz Spritz! Those long summer days are giving way to cooler mornings and I'm just not ready to let summer go! I live for summer in New England; tanning on the roof deck, lounging by the river, eating endless lobster rolls and oysters, soaking up the sun on the beach... I could go on forever about what makes summer so incredible here. As Fall begins to creep in, I thought what better way to celebrate the final days of summer than spending the day on the esplanade with a few of my girlfriends. 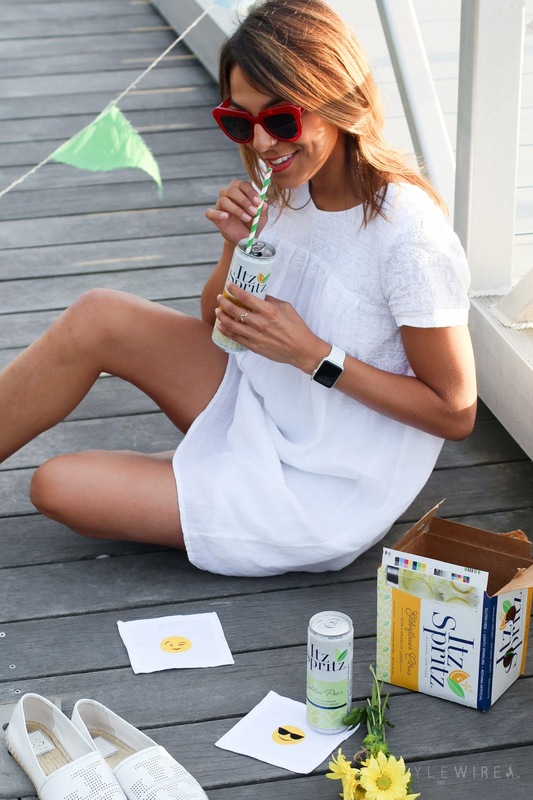 We packed up a few snacks and I loaded up a mini cooler with a few flavors of Itz Spritz. 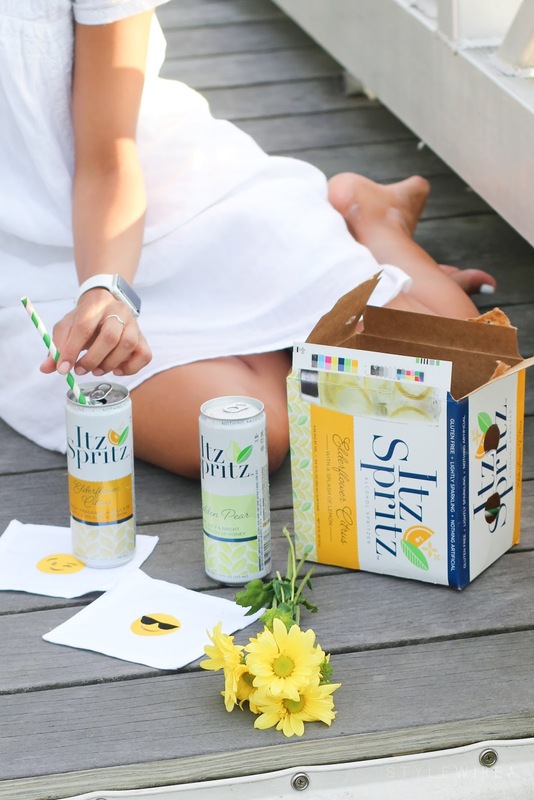 Itz Spritz is an alcohol spritzer with complex flavor combinations like Cucumber Lime Twist and Elderflower Citrus that's naturally gluten free and oh-so-refreshing. Itz Spritz comes in 12 ounce slim cans making it easy to chill and serve at home or out and about. My friends absolutely loved it! Discovering this drink was a game changer for me! I knew from the get-go beer wasn't going to be my drink of choice; after just one I would feel full and bloated. Needless to say, malt liquor beverages with added corn and sugar weren't to my liking either. I quickly discovered I preferred lighter, bubbly drinks, particularly when entertaining in the summertime. I love a classic Aperol Spritz or Wine Spritzer but if we're being honest, I hate having to mix up drinks. I can never get the proportions right and I'd much rather enjoy something straight from the can without measuring or stirring. We spent the entire afternoon sipping on Itz Sprtiz, chatting about life, snacking on fruit and cheese, and taking in the beauty of Boston along the Charles. At the end of the day, that's what summer is really all about, isn't it? This post was sponsored by Itz Spritz. All content and opinions expressed are my own. 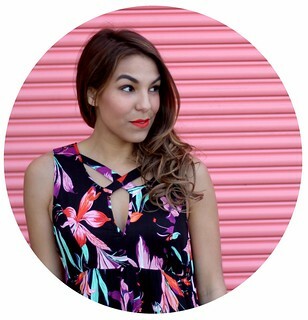 Thanks for supporting those who support Style-Wire.com!